Spring is full of promises of things to come. 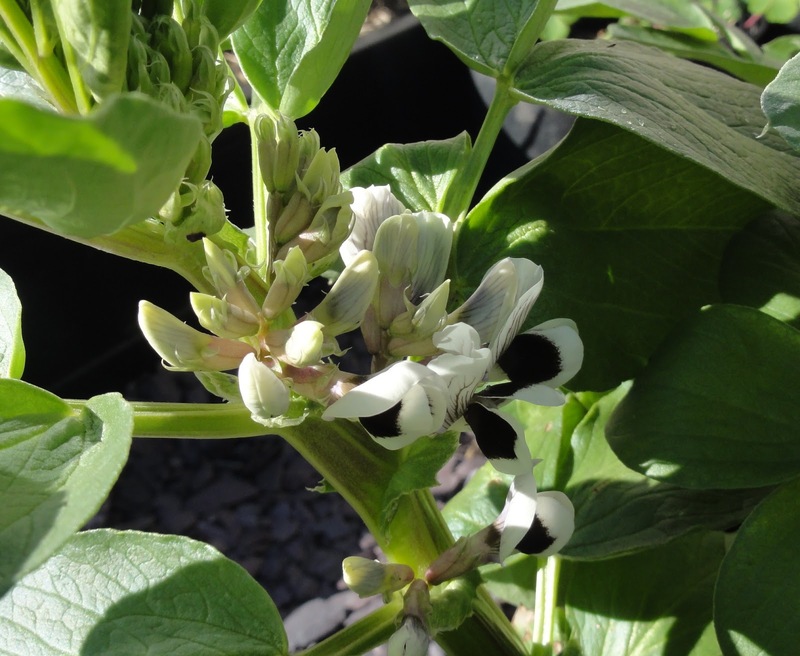 In the garden now, lots of plants are budding; here are a few of them. I love the marbling on the leaves of Erythronium Pagoda, and the flower itself will soon to flower. 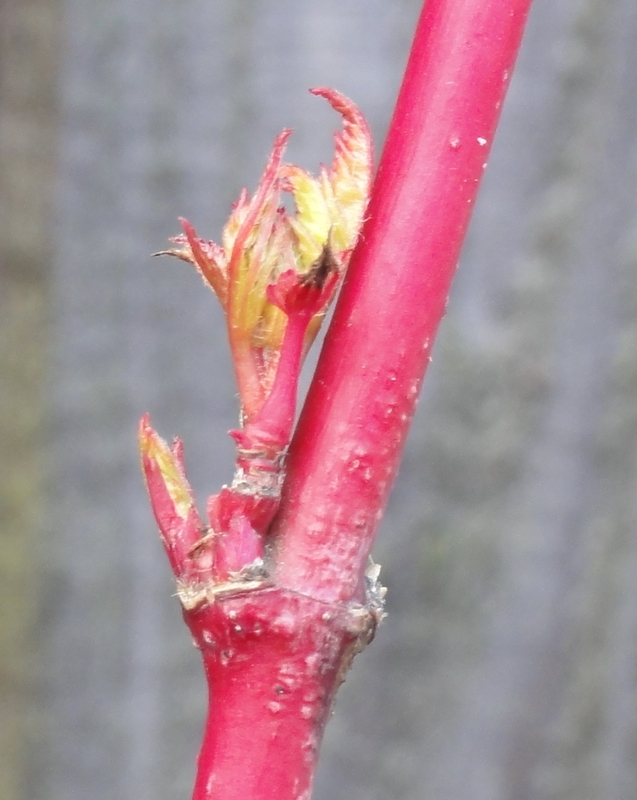 I wonder if the flower bud will open up in time for End of Month View? 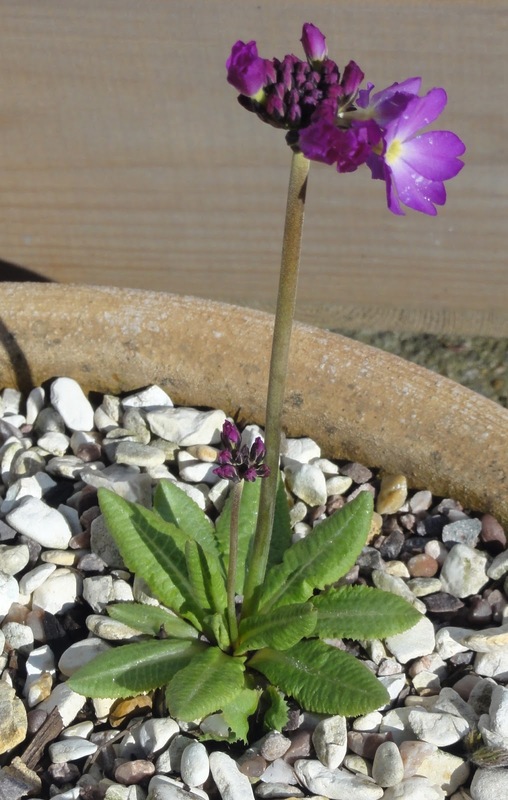 The first flower has come out on my denticulata primula, with the promise of plenty of buds/flowers to come. The leaves are unfurling on this clematis. I planted it last autumn and so far it hasn't received any direct sunlight (it gets some sun April to September), yet it clearly eager to get growing. At the front of the house is my Quince, enjoying the west-facing light much of the day. 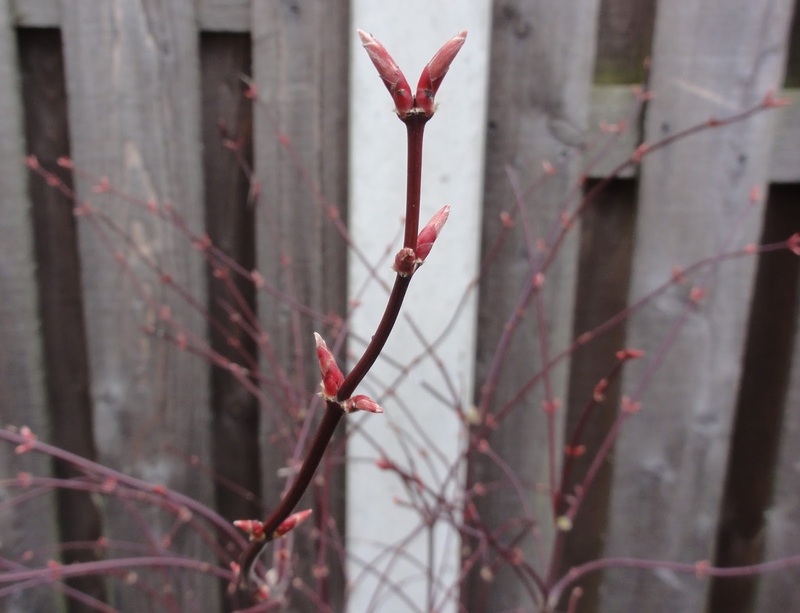 What are some of the budding promises in your garden? Right now I'm just very happy indeed that our raised bed has started to produce actual seedlings: we've got some leaf beet and some Lettuce "Salad Bowl", and I'm pretty certain those "rabbit ears" are carrots and not merely stray grass from when we mowed the lawn. 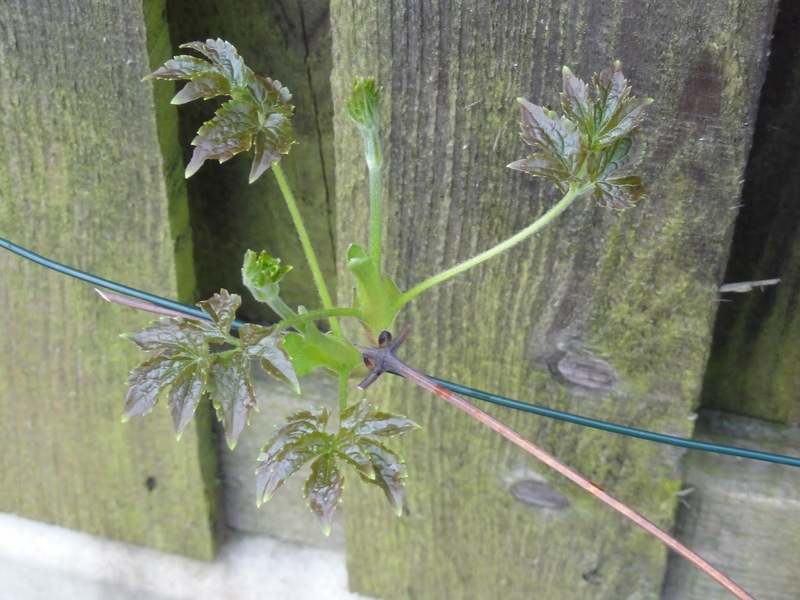 The usual suspects are also all budding: ceanothus, clematis, and some things we're not so sure about; I namechecked you in this blogpost with a few photos!